Just because you’ve grown accustomed to something, doesn’t necessarily make it better. Take search engines. The first, second, and last choice for almost everyone is Google – but despite how much they’re worshipped, the unquestioned boss of search is far from perfect. There’s no doubting the Google engine’s power when it comes to steering the digital business world. 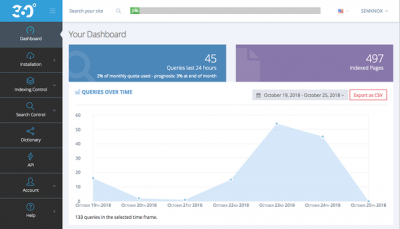 However, since changing their search algorithms a few years back, the company has chosen to focus more heavily on their many other areas of business – leaving the search solution as is and perhaps letting a little complacency set in. The reality is that the online and SEO worlds are ever changing – and Google’s search platform has offered little in the way of innovation in recent years. User customization, for instance, is one huge area that has lagged behind. 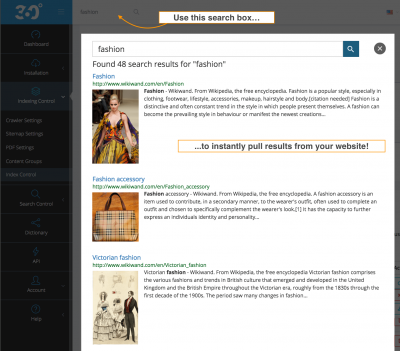 Well, the time for out with the old, in with the new has finally arrived with Site Search 360: a fast, comprehensive, and super easy to install search solution. The platform is ideal for any website – and is being touted as one of the most versatile and highest-rated site search solutions available today. Site Search 360 offers all the power of Google’s search engine – and adds in much improved customization. It allows webmasters to pinpoint specific metrics that lead to increased page views & engagement, and even lets them boost their most effective content. Plus, users get powerful analytics that reveal the intention behind every search and drive better future decisions. The platform’s robustness and speedy operation also makes it great for anyone as a “straight out of the box” solution. From there, it can be customized to perfectly suit your website’s specific design and structure. Site Search 360 also supports 19 different languages. Based in Dresden, Germany, Site Search 360 was founded in 2015 by Dr. David Urbansky on the heels of his 10+ years in the search space. Is started out as a standalone text search – and has since evolved into a fully functional platform used by top businesses like Cloudflare, Panasonic, and Pro Tools Expert. The service also recently obtained a 100/100 score on Google’s Lighthouse accessibility test. Going forward, they hope to build on this early success even more – adding more features, more languages, and more speed. To learn more about Site Search 360 and how they’re changing the game in search, visit them online at www.sitesearch360.com. You can also email the Founder directly at david@sitesearch360.com.